LITTON BROTHERS AIR CONDITIONING & HEATING DAYTON, CENTERVILLE, HUBER HEIGHTS, KETTERING: LITTON BROTHERS AIR CONDITIONING & HEATING DAYTON NOW OFFERING SPECIAL FINANCING — NO PAYMENTS FOR A YEAR! 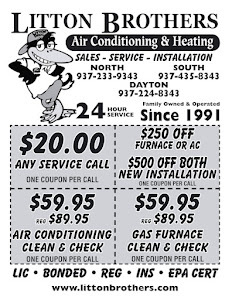 LITTON BROTHERS AIR CONDITIONING & HEATING DAYTON NOW OFFERING SPECIAL FINANCING — NO PAYMENTS FOR A YEAR! 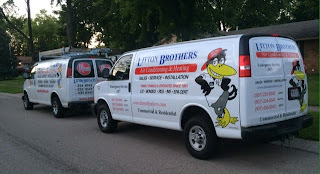 Call Litton Brothers Air Conditioning & Heating in Dayton 24 hours a day! Would you like to turn your tax refund into a new air conditioning and heating unit for your home? What if we said to keep your refund this year and use next year's refund for a new unit ... TODAY? Yes, Litton Brothers Air Conditioning and Heating in Dayton offers financing to qualified customers which will provide them the opportunity to not have to pay a single penny for an entire year! 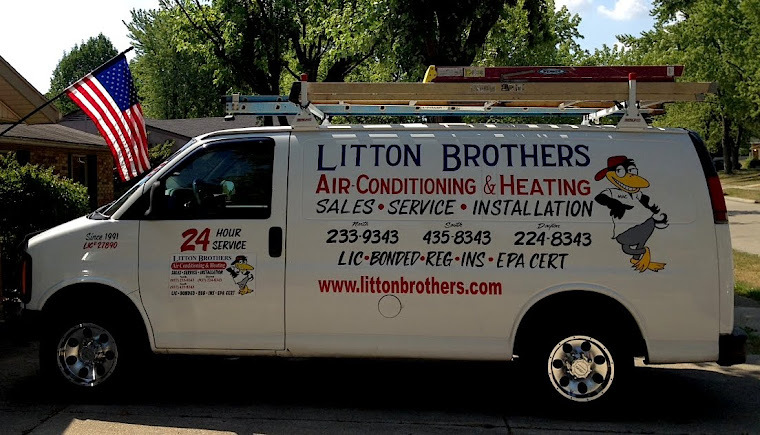 Call Litton Brothers Air Conditioning & Heating today to set up a free consultation with one of their highly trained professionals, and see what they can do to assure your family enjoys home comfort no matter what the weather is outside. Litton Brothers will provide you with top quality service (A-plus with the Better Business Bureau), 25 years of expert experience, the best products on the market (Rheem), and all at an unbelievable cost. Call 24 hours a day, seven days a week, 365 days per year! For those in Dayton call 937-224-8343. For those in Huber Heights and areas north call 937-233-9343. Customers in Centerville, Kettering and areas south call 937-435-8343.